The Westgate Las Vegas SuperContest weekend will once again bring in a major amount of handicappers next weekend from around the nation to participate in the SuperContest, which tasks bettors to make five weekly NFL picks against the spread for a chance at more than $1 million. The annual Westgate SuperContest weekend will feature golf, free entries and plenty of opportunities to get involved in a contest that has caught fire in recent years with the exposure of proxies. What is a Las Vegas proxy? 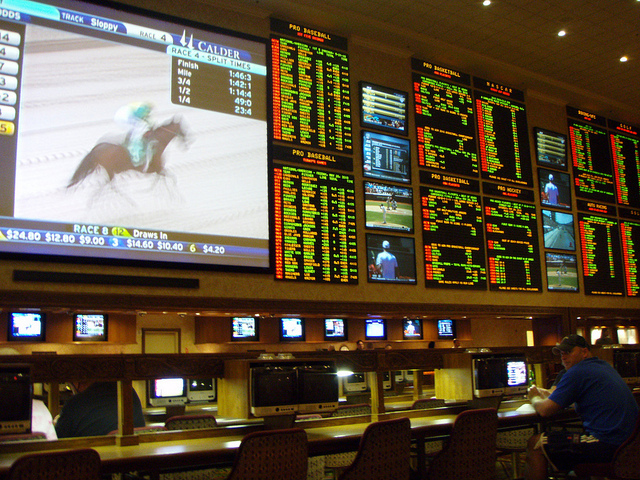 To place any sports bet in the Westgate casino in Las Vegas, or any other casino, you have to either be in the proximity to place a wager via mobile gambling or in the actual sportsbook. With the reach of the SportsContest featuring thousands of participants who come from all over the United States, it requires proxies, like Vegas Football Proxy, which I used for my SuperContest entry. According to Tom Carroll, owner of Vegas Football Proxy, the contest has been around for decades, but only in the last five years that casinos in Las Vegas started to publicize that proxies were permitted. That has led to an explosion of riches for the winners of the Westgate Las Vegas SuperContest. The growth has been exponential, with the last five years featuring payouts of $542,000, $736,000, $914,000, $905,000 and $1.32 million. And this year, the turnout is already on pace to break records, with a 31 percent increase over last year’s record-breaker, with 884 entries so far with a month remaining before the NFL season begins. The SuperContest Gold, a winner-take-all contest costing entrants $5,000, also is up by more than 100 percent compared to last year with 32 entries so far. There is no official relationship between the proxy and the Westgate, so participants are free to choose between the several different proxies available in Las Vegas. Carroll said there is no official list of proxies, but there could be close to about 30 operating in some capacity. “There is a wide range of standards between how some proxies operate and how accurate/reliable they are in their ultimate responsibility of submitting the picks correctly and on time,” Carroll said. Proxies offer different services, but at Vegas Football Proxy, Carroll prides himself on being available to all clients at any time. In order to submit an entry into the SuperContest, the participant must enter the contest with the proxy also in attendance. For Carroll, he chooses to work around the participant’s schedule, which is similar to how he operates his regimen once the season starts. Once the season begins, proxies go to work to keep the communication open for the participants. Carroll said he emails the contest lines when they are introduced by the Westgate on Wednesday, and then once the participant shoots over the picks, an email receipt is provided highlighting the tickets. Even if the participant is not reachable and does not get the picks turned in on time, Carroll will still make sure the participant has an entry for that week. With all the increased attention on not only the SuperContest, but on proxies, it is being estimated that the winnings for this year’s contest will reach more than $1.5 million.